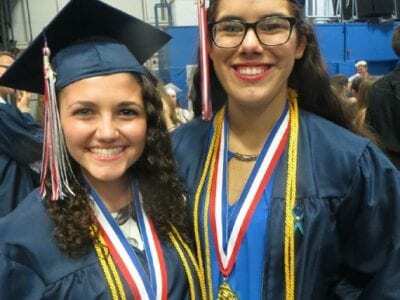 Top Left: Valedictorian Gianna D’Ambrozio (left) and Salutatorian Tess Seip congratulate each other for their accomplishments. Bottom Left: CHS teacher and Carmel alumni Joanne Morgan gives her daughter, Samantha, a hug. Samantha is off to SUNY Oneon… Please login below or purchase a subscription to the Putnam County Courier to access this content. June 30: Sunset concert – Mahopac Chamber of Commerce Park, Route 6N – Mahopac – 7 p.m. July 1: Patterson Fire Department Parade and Holiday Carnival—starting at 7 p.m. at the intersection of Route 311 and 292 in Patterson. Fireworks at firehouse at… Please login below or purchase a subscription to the Putnam County Courier to access this content. Top Left: Brianna Zicca and Rachel Zupan were the last to receive their diplomas but the first to arrive at last week’s commencement. Middle Left: Katherine Posniak gives her girlfriend and fellow graduate, Sydney Bartman, an adjustment with he… Please login below or purchase a subscription to the Putnam County Courier to access this content. Phil Oliva after winning the GOP Primary for the 18th Congressional District race late Tuesday night. 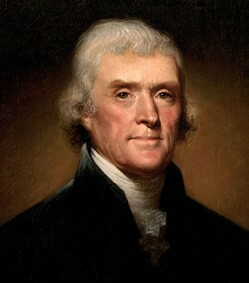 He’s shown at the Board of Elections in Carmel monitoring the vote. Putnam’s Republican endorsed candidate for the 18th Congressional District… Please login below or purchase a subscription to the Putnam County Courier to access this content. The Mt. 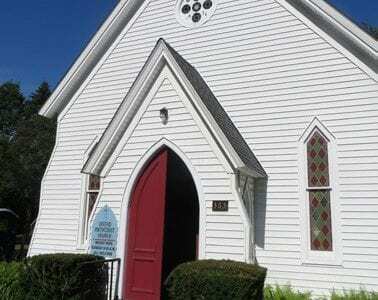 Hope United Methodist Church at 365 Hill Street in Mahopac Falls has closed its doors after serving for 140 years. A chapter of Putnam County history closed Sunday in Mahopac Falls when the Mt. Hope United Methodist Church conducted its final… Please login below or purchase a subscription to the Putnam County Courier to access this content. 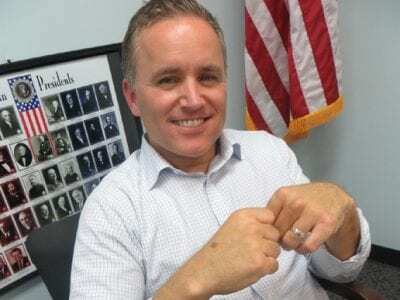 The Putnam Legislature’s Audit Committee Tuesday evening approved the appointment of Michael Budzinski as the county’s new Consumer Affairs Director, opening the door for the full legislature to endorse County Executive MaryEllen Odell&r… Please login below or purchase a subscription to the Putnam County Courier to access this content. A steady stream of donors during Putnam’s semi-annual blood drive last Friday sponsored by the Driscoll Lodge of the Fraternal Order of Police in conjunction with the Putnam Bureau of Emergency Services, the Carmel Knights of Columbus lodge an… Please login below or purchase a subscription to the Putnam County Courier to access this content. The Methodist church was filled on Sunday when the baccalaureate sermon was delivered by Dr. Robert Johns Trevorrow, president of the Seminary. 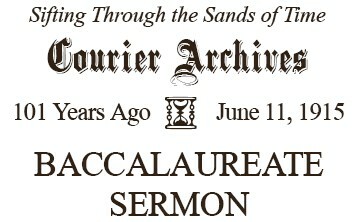 The church was beautifully decorated with flowers and the old graduates deserve credit for their wo… Please login below or purchase a subscription to the Putnam County Courier to access this content.